• 10th Anniversary Champagne has a smooth elegant flavor with a rich and creamy aroma/finish. 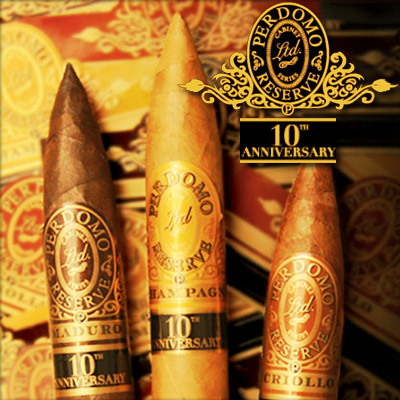 • 10th Anniversary Criollo features sun-grown wrappers, perfectly fermented, so they are at the peak of their flavor and will not split. • 10th Anniversary Maduro is naturally sweet, with rich flavors of coffee and chocolate.